While we are now unfortunately missing our main component – author Roy MacGregor who had to cancel due to a journalism assignment – we’re still going ahead and celebrating Authors For Indies Day tomorrow with a sale and lots of fun stuff for you! 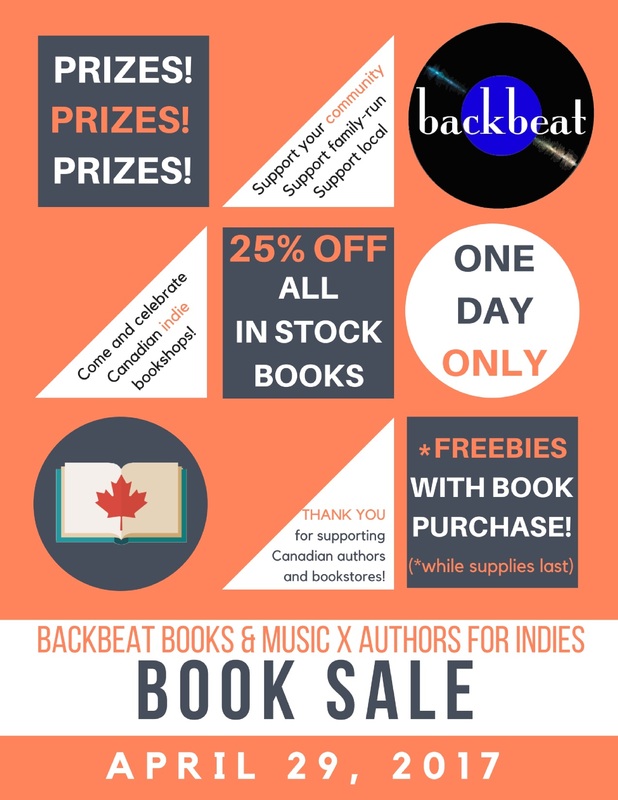 All in stock books (new and used) will be 25% off all day and there are some great prizes and freebies up for grabs with purchase. It’s easy – you buy, you save, you get free stuff! And don’t forget to enter the draw for a limited edition Authors For Indies exclusive poster from illustrator Kevin Sylvester…hope to see you tomorrow!